Want a refreshing new look to your bathroom? 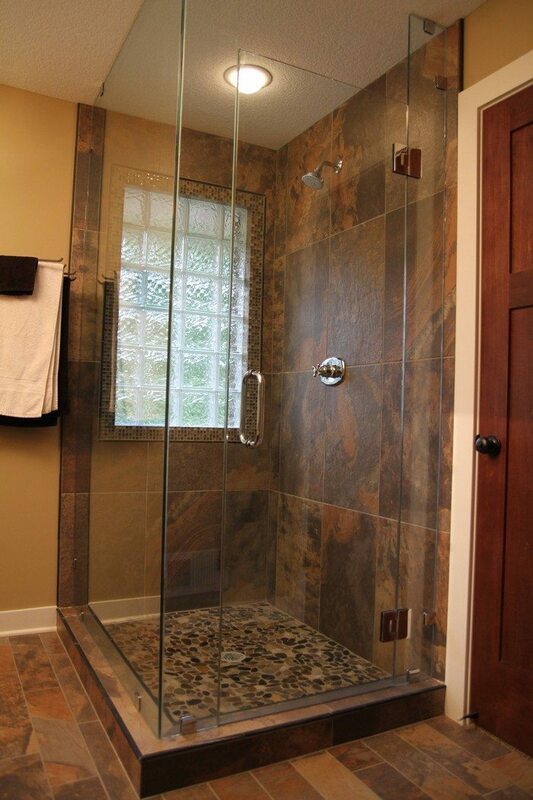 How about this pebble shower floor idea? It’s not only beautiful, it’s also a low-cost flooring project! Here, your expenses are minimized since you can simply gather good pebble stones from certain locations in your area. Although purchasing bags of stones is not costly, too. 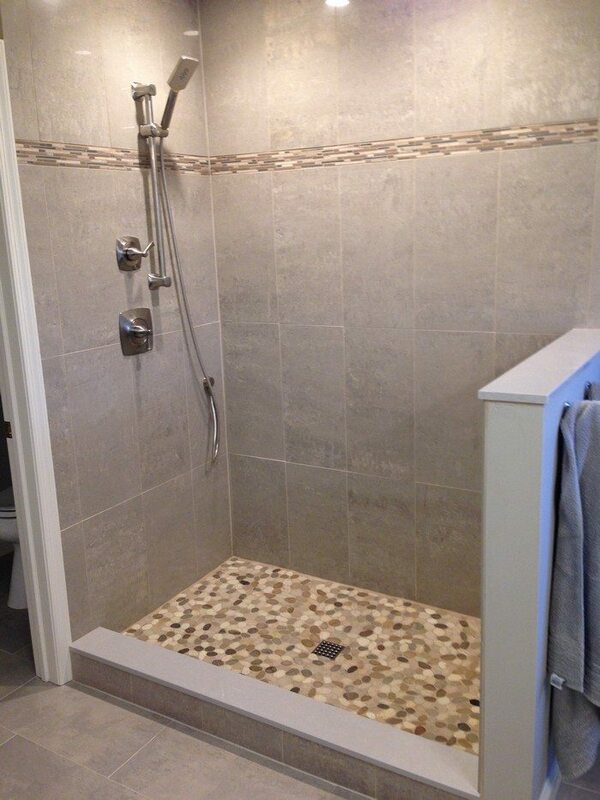 Having a pebble shower floor gives you a nice foot massage each time you step on it. And it’s not slippery at all! It doesn’t just look great – it also feels great! 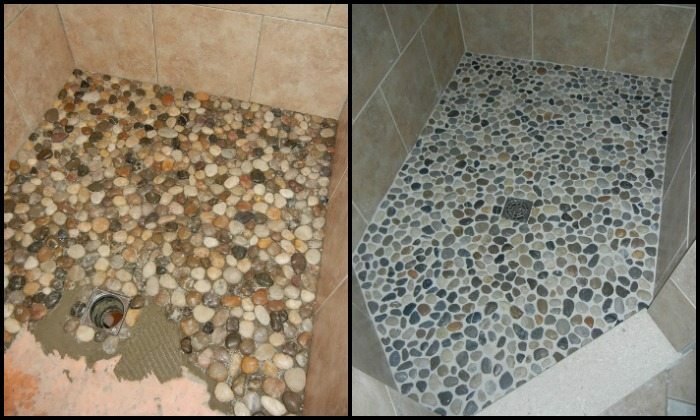 As long as you do enough research, your DIY pebble shower floor project should be successful. And while we say it’s a project that can be done on your own, consulting someone with experience is still recommended. That way you can have a high quality finished DIY project that you can be proud of! 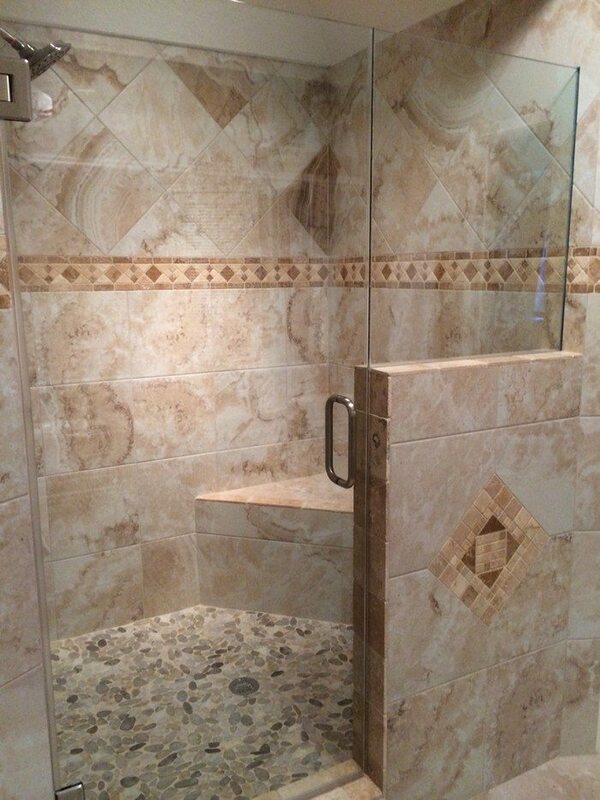 Can this be put over an existing shower floor? With out having to put the Kerdi Floor System down?